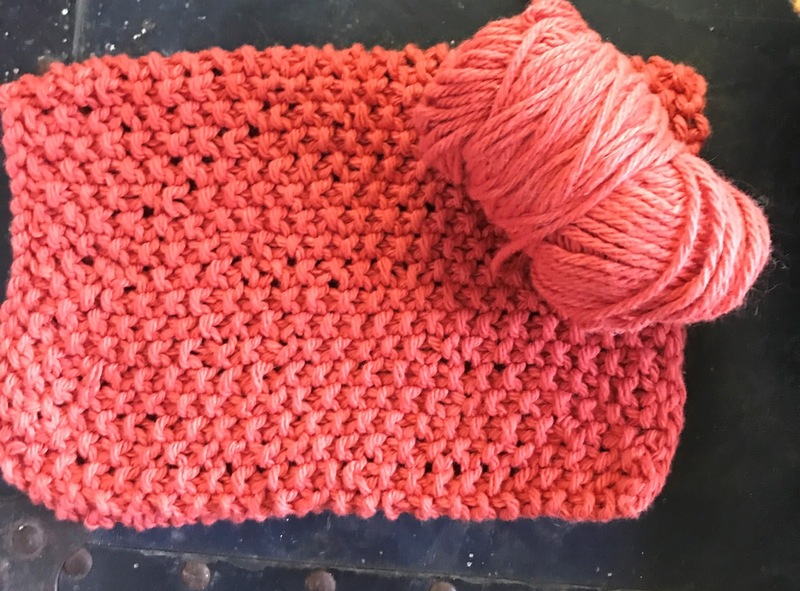 One of the first things I learned to knit were dishcloths. They are a simple and quick knitting project, which makes it a great project for beginners. I noticed that the ones I have were getting a little worn, so I decided to knit up some new ones. I already have a stash of cotton yarn, so I didn't need to purchase any supplies. I have some "Peaches & Cream" cotton yarn, that I purchased a while back. I like it, but it fades very quickly. The other yarn I have is "I Love Cotton" which I purchased at Hobby Lobby. It it a stronger cotton and I have not noticed any fading. When making gifts, I use the " I Love Cotton". For me, the other works well enough for the dishcloths, so I will use up my stash until it is gone. My go to dishcloth is typically called, Grandmothers Favorite Dishcloth. I found the pattern and video tutorial, when I was first learning to knit at Very Pink Knits . 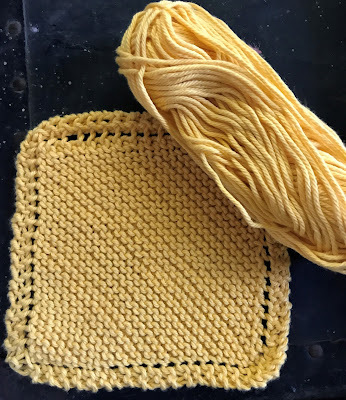 The yellow was made with the "I Love Cotton". 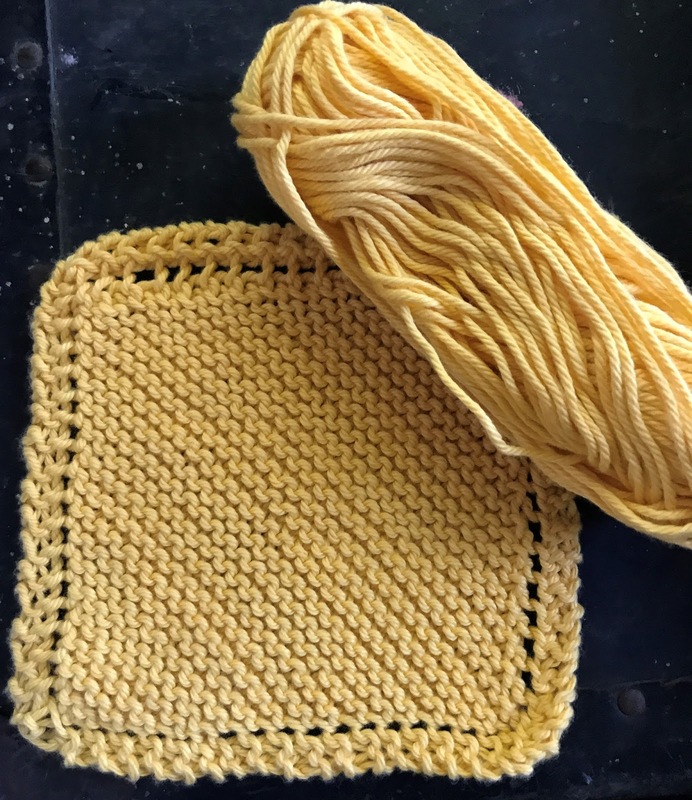 The second dishcloth was made using the seed stitch. Make as long as you want. Yarn used was "Peaches and Cream" and size 7 knitting needles. I cut my knitting teeth on dishcloths, too. They're great practice pieces. Love the colors. 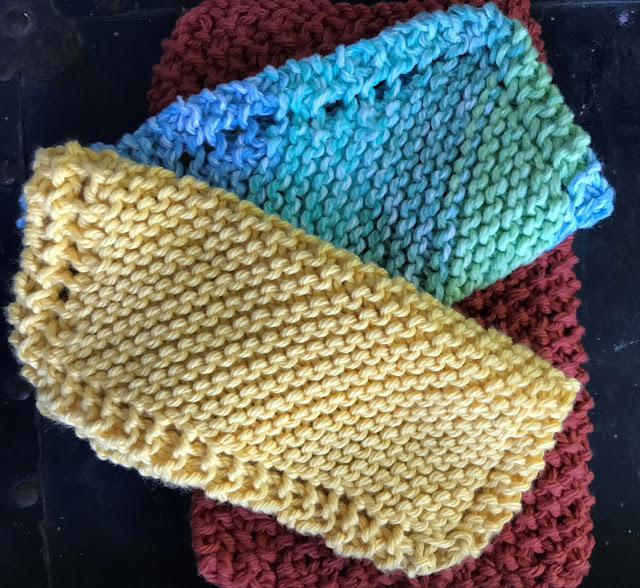 Dish cloths are fun to knit, and they make great gifts. I like to wrap a bar of homemade soap inside of them.